This event is open to all - for newcomers it is an exciting chance to learn what permaculture can offer. Or, if you are a permaculture certificate-holder, you can contribute to the design of the site and also take the opportunity to discuss your existing design work and projects with the Northern School team. Our clients are the award-winning team at Incredible Farm near Todmorden. Following the successful commercial development of their one-acre training site at Walsden, they are looking to develop their activities to provide opportunities for young people to experience outdoor activities in a natural environment. The team have identified a possible site on a nearby hillside and they have asked us to help develop a design and outline business strategy for the site. 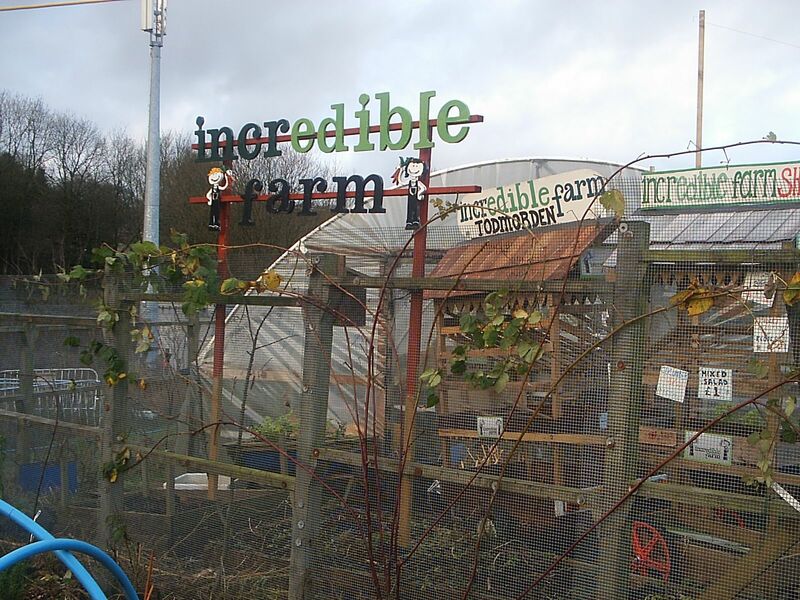 "Incredible Farm is a learning centre on 4 acres of swampy land in a valley two miles from Todmorden. We want to expand by buying the land directly across the canal from us. It is 32 acres of steep south-west facing slope, 120 metres top to bottom. We have some outline ideas, but would really appreciate your objective input . As well as being a sustainable farm the design needs to earn a living for at least 3 people and the site has to look like a “must go” destination. We want to build something that showcases sustainability, but in an accessible location. We need a changed world and this is an opportunity to put sustainable farming right under the noses of an unsuspecting public. The land under consideration is typical of the steep-sided valleys of the central and south Pennines, where the valleys were untouched by the last Ice Age but the "tops" are rounded and degraded by previous ice-sheets. Any patterning developed here would be easily transferred to a large number of "marginal" farms in cool and cold temperate climates, both in the region and beyond. View more pictures of the site. Overnight accommodation is also not included, although we are happy to try to arrange something for you, E-mail us or contact us us via the phone numbers below.